First a big thank you to the PCLinuxOS 2007 community for providing their time to put together such a fine Operating System. If you want to learn more about PCLinuxOS 2007 you can go to the following web site.. So with so many people saying how great PCLinuxOS was I was off to get the Live CD for a look see. 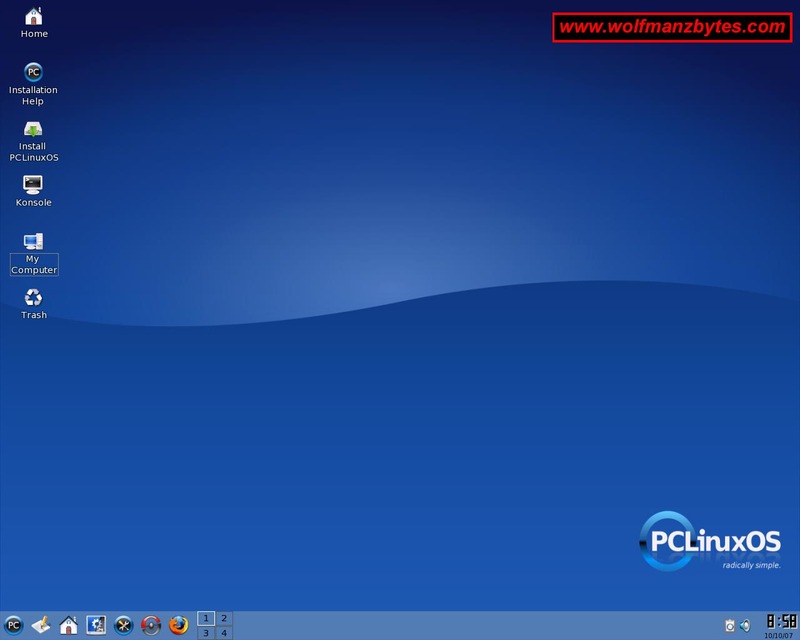 Soon after downloading the CD image I was looking at the PCLinuxOS desktop. I have to say one thing that impresses me about a lot of these Live CD's is how well they work and how good it is to have a Live CD that isn't loaded up with a bunch of stuff. Having said that there is quite a few programs to look at on the PCLinuxOS Live CD. I should say I didn't bother to install PCLinuxOS to my hard drive since I already have Ubuntu setup on it and didn't want to have another OS on there since I was happy with how I had Ubuntu working. 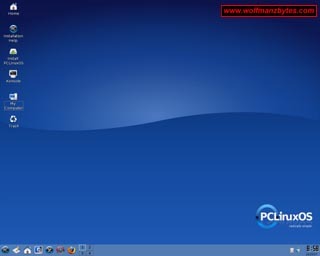 As you can see in the image below you have the PCLinuxOS desktop that uses KDE and I like the look of that for the most part. What I really like about the KDE desktop is the superkaramba program thats made to work under KDE, you can have some cool looking widgets loaded up on your screen that you simply can't get under the Gnome desktop. Under the Gnome desktop I use gdesklets and that does serve its purpose but none of the PlugIns for it that come stock with the program look as good as the ones that come with superkaramba. The image below is the stock desktop but with a superkaramba plugin running on the right hand side of the screen. As you can see in the screen shot the plugin for superkaramba displays loads of information about your system. The plugin your seeing in this image wasn't the best looking plugin but the one I like the most I forgot the name of and couldn't find it to take a screen shot of it. Now onto the codecs, PCLinuxOS does come ready to go in terms of being able to play mp3 files and movie files. Along with all that it also has flash and java installed as well so all your web sites should function just right. Below is a screen shot of FireFox displaying youtube and as you can see in the image the flash video is working fine. I tried a few other media heavy sites such as gamespot and it to displayed with no troubles at all and everything was where it should be on the web page. The only complaint I have about PCLinuxOS is the fact it doesn't come with VLC. For those that don't know, VLC means Means Video Lan Client and I think it's one if not the best video player out there. The best thing about VLC is it supports pretty much any video format out there and you don't need loads of programs to handle all the different formats. Having said that the default movie players in PCLinuxOS seem to work fairly well. If you would like to install VLC you can do so by loading up the Synaptic package manager and in the search box type in VLC and you should come back with the program and then you can right click on it and mark it for installation. After you mark the package for installation you hit the apply button and the package will be downloaded and installed. On the Audio side of things once again you have several choices there as well. I would have liked to have seen XMMS included with some of them choices but again you can add that program via the Synaptic package manager. 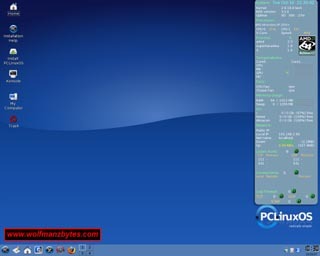 On a side note here if your running PCLinuxOS and are wondering how to access other windows computers on your network here is what you do. Hit the little house icon on the bottom of the desktop that will load Konqueror up. Once Konqueror has been loaded up hit the system icon on the left hand side of the Konqueror screen. When you do this you will see a list of stuff show up on the left hand side of the screen. 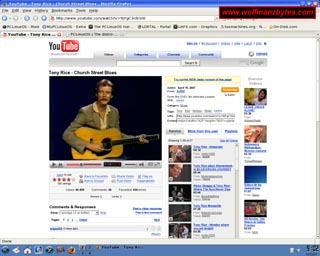 Click on the remote places and then you will see a Samba Shares icon double click that and you should see the windows computer. When you access the windows computer you will have access to a couple of windows folders that you can put stuff into. On the windows machine if you open windows explorer up and select My Computer and then select Shared Documents you should see the same folders that you seen in Konqueror under PCLinuxOS. Being able to access the windows folders is good if you want to move some stuff to PCLinuxOS, for example some media files to play. I can see why some people don't like Ubuntu because of the codec problem but on the same hand it's not really that big of a problem any more. It only takes a few minutes to install VLC and XMMS under Ubuntu and when you do that you should have all your media needs taken care of in terms of playback of videos and Audio. Likewise to install flash into Firefox under Ubuntu only takes a couple of more minutes. 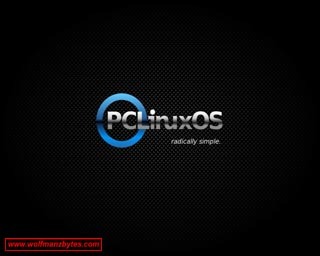 In conclusion PCLinuxOS is a great distribution for the users who may be just coming from windows and want to see what Linux has to offer but really don't want to invest any time into it until the user sees if it's worth it or not. If your one of these users then its probably worth your time looking into PCLinuxOS..